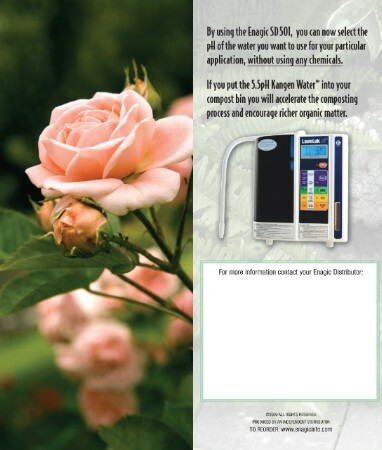 This colorful brochure tells the story about using Eco-Friendly Kangen water in your garden and landscape. 2.5pH strong acidic water has been proven to kill a wide range of bacteria fungus in greenhouse operations in Japan. 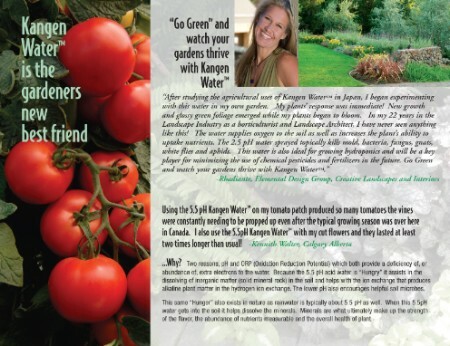 Plants thrive on ehe 5.5pH Kangen Water.